How to Create a Facebook Page that really Works for your Business? 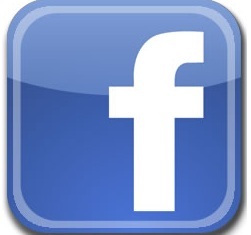 Facebook pages have high value when it comes to online presence of a business. In today’s era, you cannot imagine an effective online presence without a Facebook page. A Facebook page is one of the most effective communication touch points to build close relationships with your customers. Thousands of pages exist on Facebook but not every page is serving its purpose. Creating a purposeful page on Facebook needs a bit of strategy. Here I am going to summarize few quick steps for creating a Facebook fan page that will really work for your business. 2. After selecting classification, choose category and give the name of your business. It is important to note that once you have selected the category name of the business, you will not be able to change it ever. So make selection wisely. After you are sure with classification, category and name of the business, click Get Started. 3. In the next step, you will see the Set Up page. Here you will see three tabs i.e. Profile Picture, About and Facebook web address. First upload your profile picture. Your profile picture is an important entity that will represent you on Facebook. Choose the one that gives clear image of your brand. Having your logo as your profile picture is quite a good option. You can upload it from your computer or import from a website. Select whatever is convenient for you. 4. Now select the About Tab and add a small description about your business. 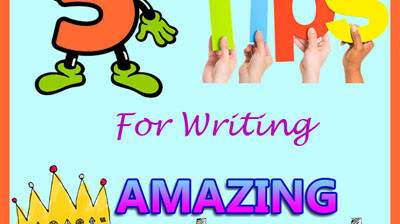 It should be concise and keyword rich as it will improve your page rank in searches. Remember to include your email address and other contact information in description. 5. Select Facebook web address and enter a unique address for your page. Select the address wisely as it will make easier for people to find your page. Remember, once your Facebook web address is selected, it cannot be changed later. So select it wisely. 6. After this, Facebook will offer you various options to play with. First, it will ask you to like the page to support your page. Secondly, it will ask you to invite your friends. You can opt to invite your friends but it will be good if you do this after you complete your page. 8. Start playing with your page. Post statuses, share with your fans/friends, add photos, promote your website, promote products etc. All these activities will take you a step closer to your audience. To keep check on how your page is going along, check regularly by clicking on View Insights tab on the right-hand side of your Facebook page. This will give you an insight of how many people liked your page and how many people are talking about your page. This is not all. To reap the fruit of Facebook, you need to keep your page fresh with latest posts and updates. The more interesting content you will add to the page, the more you will hit the massive Facebook market. Give users what they are looking for; interact with users in form of contests or games. With such strategies, you will have a successful Facebook fan page adding significantly to your revenue.